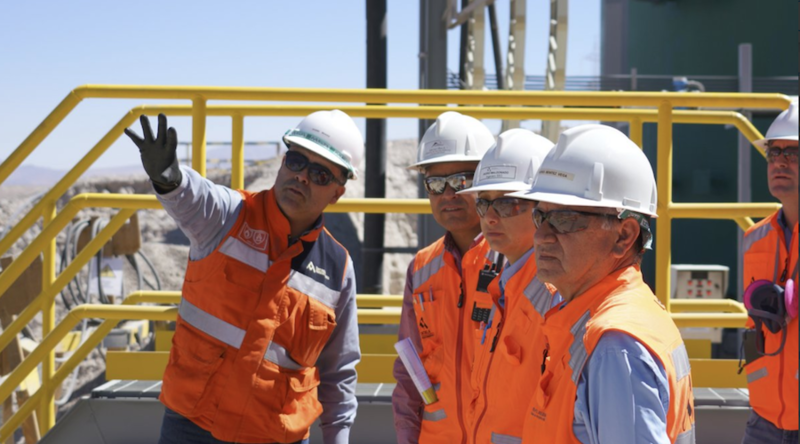 Antofagasta's execs at a site visit. CEO Ivan Arriagada is the second from the left. Photo by Antofagasta. Chile's Antofagasta, one of the world's leading copper producers, expects copper prices to continue to be volatile due to global trade tensions, the head of the company was quoted in a local newspaper as saying on Sunday. "In the short term, we are facing high volatility and we believe that volatility will persist," the CEO said. "There is a level of concern in the industry because the fall in the price of copper has been considerable and, also, because inputs are rising," he added. "Our margins are more compressed and we are very focused on working on internal costs and productivity," he said.